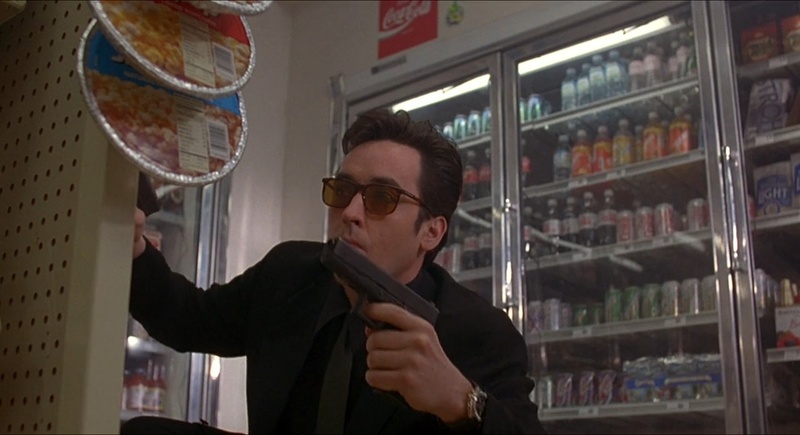 A romantic comedy with a twist, Grosse Pointe Blank follows a cold-blooded but sympathetic hit-man as he attends his high school reunion to pursue his dream girl while dodging bullets. Martin Blank (John Cusack) is an independent assassin for hire, receiving his missions through his assistant Marcella (Joan Cusack). Fellow hit-man Grocer (Dan Aykroyd) tries to convince him to join a cartel, but Martin wants to maintain independence. Starting to feel depressed and jaded Martin's mood is not improved when a couple of his missions are bungled. His shrink Dr. Oatman (Alan Arkin) is of little use. After being nagged incessantly by Marcella, Martin agrees to attend his 10 year reunion at Grosse Pointe high school in a Detroit suburb, but only after his next target happens to also be in the same city. He uses the opportunity to try and win back the love of Debi (Minnie Driver), the sweetheart he abandoned on prom night ten years prior. He also bumps into other high school friends including real estate agent Paul (Jeremy Piven). As he makes progress in wooing Debi, Martin realizes that Grosse Pointe is crawling with hit men, and that he may be a target. Set to a continuous soundtrack of mid-1980s hits, Grosse Pointe Blank takes a sardonic look at the love life of a killer. Directed by George Armitage with John Cusack co-writing, the film goes into rarely explored territory where killers need affection too, and laughs, love and hot lead collide. It doesn't necessarily always work as intended, but enough emotional mayhem registers to make the film stand out. With so much going on some parts of the narrative kookiness understandably land awkwardly. Unless blatant satire was the goal, Debi's ability to look past Martin's profession and love him anyway was never going to be an easy sell. The music soundtrack also occasionally overreaches and gets in the way. While the selection of hits from the 1980s is a boon to fans of the decade, stretches of the film introduce a new track every 10 seconds, the songs disintegrating into useless snippet territory. And finally the big reunion scene is a messy series of encounters that seem to start and stop at random and offer nothing new. But for the most part Grosse Pointe Blank delivers an irreverent mash-up of wild action, romantic pursuit, career depression and caustic comedy. And the genres somehow rub against each other at the right angles, the film emerging as a unique hybrid refusing to adhere to any preconceived notions of formula. Rarely has a love story with a high school backdrop been interrupted by an intense gunfight between two assassins culminating in a bomb placed in a microwave. And of course the battle happens to take place in a mini mart that displaced Martin's childhood home, just to add to the hero's depressed sense of aggrieved angst. John Cusack brings his persona of intense cool to Martin Blank, and provides the film with its critical centre of gravity. None of the other characters are too important to matter. Even Debi is reduced to lazily orbiting Martin's disorderly life, Minnie Driver unable to exert much pull on the proceedings other than work through Debi's residual anger issues. 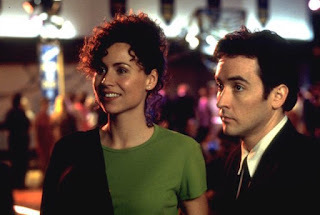 Grosse Pointe Blank bravely goes back home, and with a wicked smile gleefully breaks all the rules.